you know the classic Nike term, “just do it”. If it were that easy, right? We can apply this term in so many aspects of our life. our day-to-day life or even long-term choices. in my case, my current “just do it” is happening right now, this very second. this post. 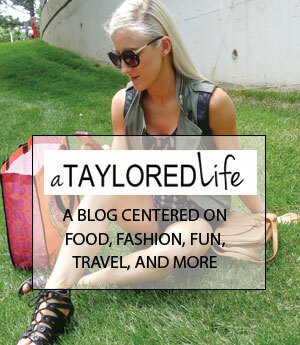 i’ve been neglecting getting back into blogging, be it daily or just a few a week. i want to blog daily, but have been avoiding just DOING IT and getting started for way too long now. i’ve been procrastinating. i’m a perfectionist, i want my blog posts to be PERFECT. WELL, that’s not reality, that’s not life, no one is perfect nor product a perfect blog post. because there is no such thing. blogging allows me to share recipes, personal stories, inspiration, growth personally & emotionally, etc. I enjoy sharing them but just need to get back into the swing of things like any other routine. you avoid going to the gym, but after 4-5 consecutive days of going it just becomes part of your daily routine. so here’s my new daily routine: BLOGGING! just do it Taylor. with that rambling over, sorry you had to endure that pain, let’s begin! I’ve spent the last couple weeks making major life changes. I’ve spent so long serving others, working for not-so-kind individuals, and it was truly hurting my inner-being that I have worked so hard at every day to build, to nourish and grow. a few weeks ago, I quit my job at a training facility, and went full time TayloredFitness. A dream come true, an absolute dream. At this point last year if you were to tell me you’d be 100% self employed helping change women’s lives, i’d say you were crazy. TayloredFitness wasn’t even in my thoughts then. so how’d I make it happen? how’d I get to where I am now? believing in yourself and surround yourself with people that believe in you. make a list of 5 things you LOVE to do, hobbies, passions, talents, anything. across the top of a piece of paper. don’t type it, be old school, whip out a piece of paper and jot down 5 things. physically writing them down vs. just typing allows you to carry them around, make notes on them as you’re out and about during your day, and i personally like physically writing things, it allows it to soak in better. oldskewl. anyways.. i digress. then under each of those write TIMELINE: followed by 5 more bullets. now, under bullet 1 write down things you can do THIS WEEK to network, google, anything to figure out how to make this talent of yours a full-time reality. Bullet 2, these should branch off from bullet 1’s to-do’s, but more in-depth, have you made any new connections? put that under bullet 2 – make connections! Bullet 3, where you see your progress at, where you WANT it to be in 3 months. these are goals, intentions if you will. “I will have made 4 connections in this field of talent/hobby and will have figured out financially where it stands” etc…. again, you may know NONE of these now, that’s not the point, it’s INTENDING that bey Month 3, you will know the answer/have the answer to these intentions. Bullet 5: simply write “I will be fully supported by this talent/hobby”. that’s it. just write it there, trust me. then write in on a sticky note, 2 sticky notes, tons of them, with today’s date ONE year from now – and stick them all around for you to see. now, go do this. believe in yourself, don’t think your hobby/talent is “not worthy of a full-time job” becuase it is. you were given that passion for a reason, for others to benefit from it & for YOU to live a life of joy and happiness. “but i won’t make any money from it” is what you’re thinking. stop thinking like that. that’s why you’re stuck, allow your intentions to manifest. believe in yourself. don’t care what others may think of you pursuing this or “you think you’re going to make a living off of THAT? !” – shake those thoughts, you’re making them up in your head, do it for you.